How to make telemarketing a success in the digital age with segmented data lists and creative script writing. 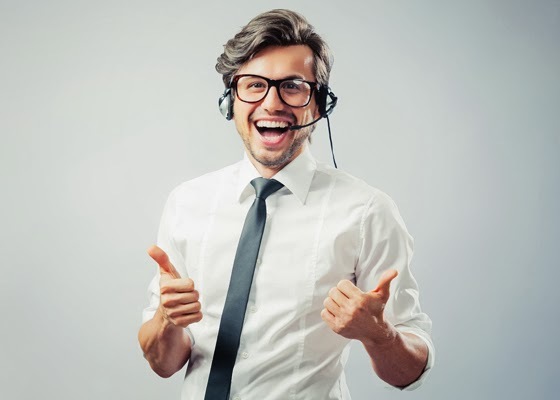 Get those phones ready to go and follow our tips for telemarketing success in the digital age. In the age of digital marketing, it has been said that telemarketing is a tool of the dinosaurs. Extinct, not relevant, not effective. But in fact, the opposite is true. Think about it – we live in a very impersonal age so, if you do it right, the personal touch really can get good results in the B2B world. Telemarketing is a key weapon for B2B brands, particularly as a means of nurturing prospects so that you win new business. So how can you make sure you get telemarketing right, to get the results you want? Let’s look at a few of the reasons that telemarketing campaigns fail, according to Econsultancy, and how you can avoid these pitfalls. Also known as lack of segmentation. A definite no-no. You wouldn’t send an unsegmented email campaign so why should it be OK for telemarketing campaigns? Investing in up-to-date, targeted telemarketing data lists so you can be sure you’re calling the right people will make all the difference. So you’ve invested in a telemarketing data list – but don’t stop there. Not every call will get you the result you want, however it’s still a great opportunity to add richer data to the list you’ve bought. If you always add more data every time you call, you start to gain a deeper understanding of what your customers and prospects need and want. This is true of many marketing campaigns, whether via telemarketing, direct mail or email. Don’t start your campaign until you know what you want it to achieve. Follow the tips in this article on setting marketing campaign goals to set SMART targets (Specific, Measurable, Attainable, Relevant, Time-bound). Just because your telemarketers’ script is not visual, it doesn’t mean you shouldn’t spend time on making it creative. After all, it is a marketing campaign and creativity has always been at the heart of marketing success. Read these recommendations for writing a telemarketing script before you start on yours. One of the key routes to success in any marketing campaign in any media is seeing what works and what doesn’t, and tweaking accordingly. If you just keep plugging away saying the same old thing when it’s clearly not working then you’re not going to be happy with the results. Start with a small segment of the list, gather your data, score the calls, and then use what you learn to the necessary changes for success. Collect more data on every call. Make sure you know what you’re trying to achieve.